We love to share whenever our employees have great news or adventures outside of Sisters Flowers!! The weekend of January 26th was especially eventful! 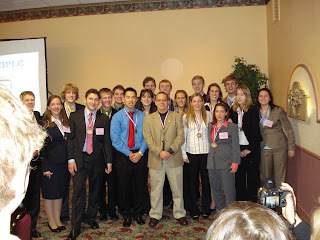 David, our brillaint and brightest employee, participated in the “We the People” competition in Jefferson City, MO. David and his fellow brilliant classmates from Westminster Christian Academy took part in this state-wide contest which focused on Constitutional law and critical thinking. Westminster took six different units, or teams, to the all-day competition. Each unit had to write a paper about different Constitutional ideas and be ready to defend their positions in front of a panel of judges, who just happen to be State Supreme Court Judges and lawyers. After a whole school year of working and preparing, Westminster took first place in the competition!!! David’s unit (Unit 1) also took the best school unit award for the highest scoring unit! It was a very close race, as the top three teams were separated by just a few points out of an overall score of 4800. The Westminster “We the People” team will now compete at the national level in Washington D.C. in May. Congratulations and Best Wishes to the whole team!! Unit 1 Team members: Liz Crowell, Ben Winter and David Testrake shown with teacher/coach Ken Boesch. The entire Westminster Christian Academy team. Shelly also had an eventful weekend. 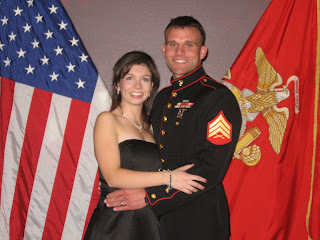 She and her husband, Jess, went on a vacation to Las Vegas and Twentynine Palms, CA. Shelly and Jess met Jess’ brother, Will, and his wife, Stephanie, in Las Vegas where Will and Stephanie were attending the Marine Corps Ball. (Will is a Marine stationed at the base at Twentynine Palms, CA.) All four of them enjoyed the bright lights of Vegas for one night, and then headed back to Twentynine Palms. While in CA, they enjoyed the desert and all it’s scenery. Joshua Tree National Park is located right near Twentynine Palms and was a great place for Shelly and Jess to visit! It’s amazing rock formations, views, blooming desert plant life, and of course the Joshua Trees proved to be breathtaking! Needless to say, Shelly enjoyed her trip!! Will and Stephanie at the Mairine Corps Ball in Las Vegas. Shelly and Jess in front of a Joshua Tree. Joshua trees grow about a half inch a year. This tree is approximately 200 years old!! A group photo in the rock formations at Joshua Tree National Park. Shelly and Jess enjoying the landscape. This park is beautiful and anyone who has the chance should go!! We always make time for adventures here at Sisters! !